Technology is not immune to the vagaries of fashion. Over time form and function changes but in addition to improved features and functionality there is also a great deal of thought given to the design aesthetic. This is clearly discernable in the design changes of mobile phones, laptops and PC chassis. Given that we humans are visual and tactile creatures, making something pretty is a sure fire way of getting us to buy it. In the early days of the mobile phone, the majority of handsets were large grey or black bricks. They had small monochrome LCD screens and all that you could do with them was send a text message or make a phone call. Over time this has changed and although the functionality remained largely the same, the race was on to design as small a handset as possible regardless of how badly the form impacted the function. The wheel has turned again and now the race is on to design a handset which is packed with functionality and has as big a screen as you can hold in one hand. In certain instances it seems that practicality has been abandoned in favour of screen real estate, the Samsung Galaxy Note is a good example. And with the recent news of LGs high definition 4k handset you really start to wonder where the tech race will end. Smart phones batteries are already stretched to the limit with the current feature set, who knows what kind of battery life you could expect from an even more power hungry device. Laptops have experienced a similar design evolution to mobile phones. Their dimensions have changed and they have become smaller with the advent of the Netbooks and have also become much larger with the advent of notebooks with 18 inch screens. In both instances the form has impacted the functionality. The Netbook is designed for portability and sacrifices some functionality whereas the large laptop has desktop functionality but in turns trades it for reduced portability. Laptops have also gone from being drab, grey business tools to being brightly coloured fashion statements. One of the major influences in this area is undoubtedly Apple where Steve Jobs transformed what were essentially business tools into lifestyle accessories. Instead of drab and monochrome, your Mac is white or silver. 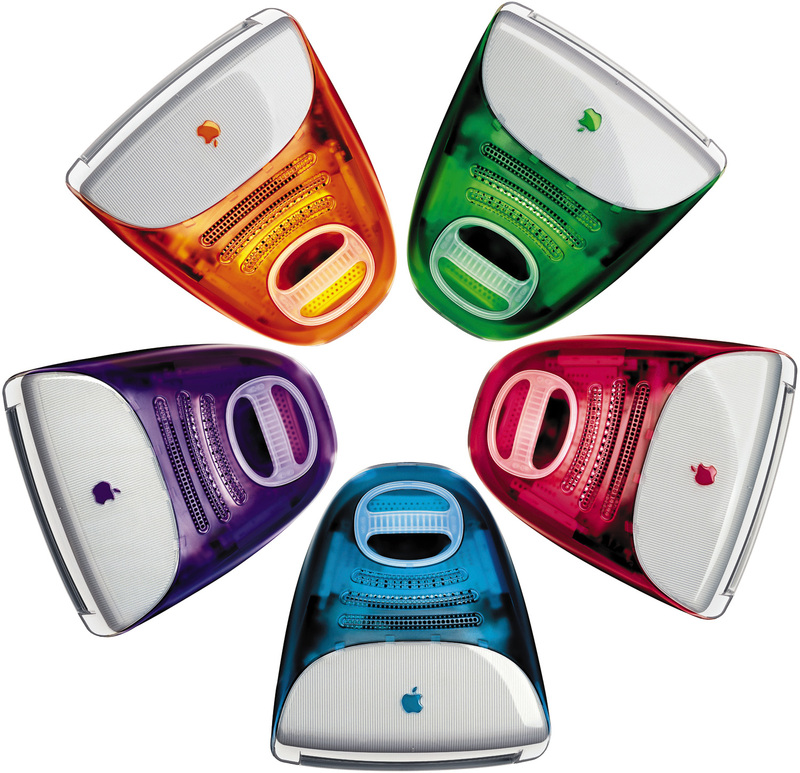 In the case of the first generation iMac you could even choose between red, blue, green, yellow or purple. Of course this comes at a pretty steep premium but no price it seems is too high in the pursuit of fashionability. Indeed Apple has been able to achieve a level of popularity and devotion that would be the envy of your local cult leader. The world of the PC chassis has also changed in significant ways. There was a time when you could buy your PC case in any colour as long as it was beige. You also had a choice of a fairly regularly shaped box but all this has changed. These days your PC case is much more commonly found in corporate black but you are in no way limited to this shade. Major manufacturers such as Thermaltake and CoolerMaster are dedicated to producing the case of your dreams. In certain instances both their colour schemes and dimensions are a bit over the top for my liking but then again I am not the target market. Lian Li is another specialist chassis manufacturer but they err on the side of the more conservative design aesthetic and favour optimal functionality and a high build quality over anything else. Regardless of the choice that you make there is no significant difference in the functionality of each chassis. Your choice will really boil down to personal preference and which design speaks to your personal aesthetic. In the final analysis the link between form and function is easily blurred by clever marketing. We don’t need the newest, prettiest phone, laptop or PC case but they are nice to have and they are nice to look at. In certain instances the form will impact the function and it is a matter of deciding which is more important. I might want a phone or laptop with as big a screen as possible but if I can’t carry it around with ease, then it really defeats the purpose. If you like cutting edge pretty and are not put off by the price tag then it is more than likely that Apple has just the product for you. If you’re more like me and into recession spending then you will most likely sacrifice the pretty form for the more practical function.